Whether it’s a suit for your next job interview, big meeting, formal wedding or you just want to look amazing on a night out, let Style Code Inc. create a custom look tailored your style and body type. From the moment you walk in, you’re treated to an experience like no other as you are introduced to fabrics and garments to match any occasion, any style and, any budget. It’s not clothes shopping, it’s a personalized experience that creates a distinct look that every man craves. From business savvy to head-turning casual, let Style Code Inc. be your menswear solution. We have Suits, shirts, tuxedos, denim, casual sweaters, undergarments, belts, ties, socks, and all accessories. Everything you need to look as great as you deserve to. Click below to see more or to book a custom consultation today. It’s not just menswear shopping. It’s a menswear experience. Whether it’s a suit for your next job interview, big meeting, formal wedding or you just want to look amazing on a night out, let Style Code Inc. create a custom look tailored for your size and your style. From the moment you walk in, you’re treated to an experience like no other as you are introduced to fabrics and garments to match any occasion, any style and, any budget. It’s personalized fashion that creates the distinct look that every man craves. From business savvy to head-turning casual, let Style Code Inc. be your menswear solution. Suits, shirts, tuxedos, denim, casual sweaters, undergarments, belts, ties, socks and all accessories. Everything you need to look as great as you deserve to. It’s not just menswear shopping. It’s an menswear experience. As part of our commitment to providing top notch customer service, Style Code Inc. will work hard to ensure that all of our customers are well accommodated and made to feel special. That’s why we offer flexible hours and off-site private consultations in addition to our on-site services. Instead of having our clients travel or commute to our studio, we give them the option of arranging for us to meet with them wherever and whenever it’s most convenient. Whether that’s at the office or at their private residences, Style Code Inc. is committed to providing reliable and highly reputable clothing fitting, measuring, styling, and manufacturing services to our loyal customers. It’s not always easy to find the time to get away and go shopping for new clothes, let alone finding quality apparel that fits your budget. Style Code Inc. provides a sense of relief along with a professional, dependable, and positive high-end shopping experience that are our loyal clients desire and deserve during the hours they prefer. 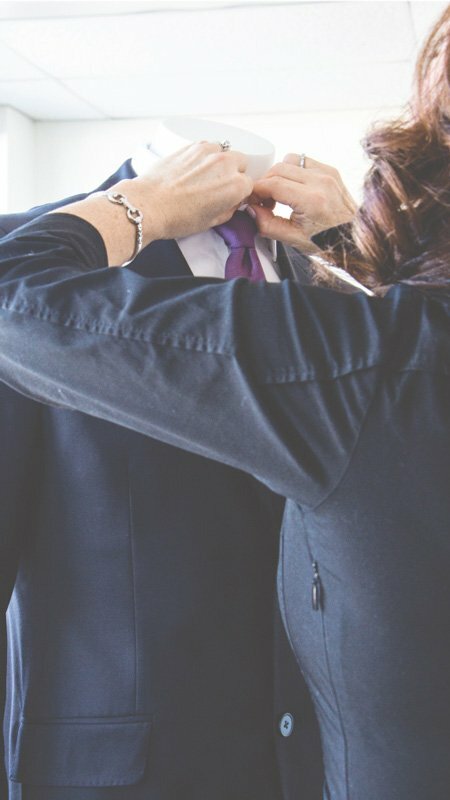 For such life milestone events as one’s wedding, Style Code Inc. offers the option of having the entire wedding party fitted and styled with all details tended to. From perfectly coordinating the suits of your wedding’s ushers to custom fitting your groom with the ideal tuxedo, the shopping experience at Style Code Inc. strives to be as stress-free and enjoyable as the event itself. In a private, “store-to-yourself” setting, the bride/groom are at first invited for an initial style consultation discussing preferred colours, suit styles, special event details as well as individual budget. Once an initial selection is made, the wedding party is then invited for a second appointment where try-ons and individual measuring usually takes place. This is the time when we invite the wedding party (and especially the bride/groom) to sit back and savour a complimentary glass or two of Prosecco while your personal stylist ensures that all sizing and accessory-coordination are attended to in a timely and professional manner. After all, we want to ensure that everyone looks their best on your special day! 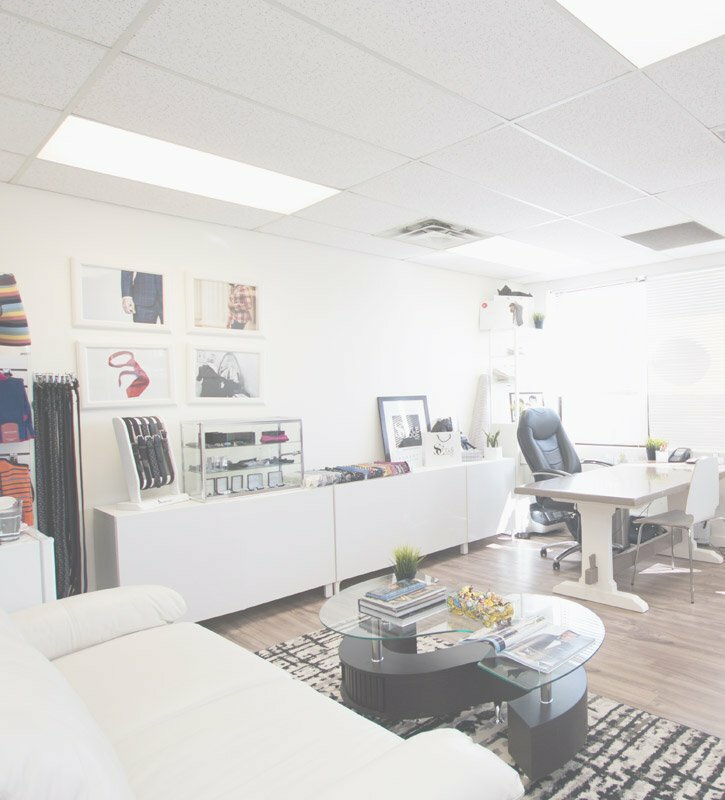 Style Code Inc. offers consultations and fittings by appointment only for the sole reason that it makes it easier for us to focus our attention on fulfilling the needs our clients. This allows us greater flexibility to offer brief or longer consultations depending on the requirements of each client and we can also travel to the locations of our clients to meet with them rather than having them come to our studio. Our top style expert, Catherine Bourgouin, will take the time to set aside high-quality pieces that are specially selected for each appointment and bring them directly to our clients at no additional cost.